Eternal Life: Here Today, Gone Tomorrow? Watch, "Eternal Life: Here Today, Gone Tomorrow?" Does it ever feel to you like God is piling on? When He allows us to experience multiple trials at the same time, it can drain our emotions, damage our relationships, age our bodies and break our spirits. So where in the Bible can we find support to bear up under the crush of multilayer suffering? You might be surprised. But I think you'll also be encouraged. So I'm praying that you'll find the strength to make it out from under that pile to listen to this message, and that you will get a much-needed breather. 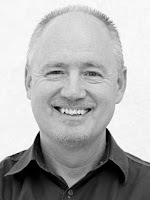 Watch Greg Sidders from Sunday 02-12-12, "How The Spirit Leads"
Not in your car. In your life. Are you getting the kind of guidance you'd like from God? Now that the Spirit of God lives in you, you have access to a divine navigational system that can help you successfully navigate the twists and turns of life. In this message we're going to finish up our series on the Holy Spirit by learning some of the many ways He guides those He inhabits. If you're not at a fork in the road right now, you probably will be soon, so this week's study is a timely one that might just recalculate the whole direction of your life. Watch Greg Sidders message, "What To Do With Your Spiritual Gift." It has been a joy for me to teach on the Holy Spirit for the last five weeks, because so many of you have shared with me your excitement about learning new and potentially life-changing truth about Him. But sometimes there is a gap between what we know God can do and what we are willing to let Him do. In this message we are going to close that gap by venturing out of our comfort zone into behavior that matches what we believe about the Holy Spirit. How God will work as we do that, I can't predict--but that He will work is a sure bet. Don't miss it!